Enter your email address. Your coupon will be on its way immediately. *To ensure delivery to your inbox (not bulk or junk folders) please add Coupons@Masterparking.com to your address book. 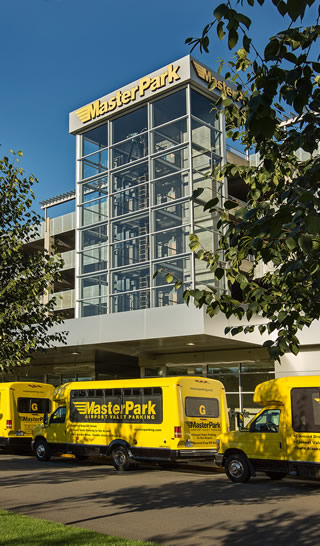 Get this coupon if you need SeaTac Airport parking for 1 to 6 days and will park at Lot A, B, or C.
Get this coupon if you need SeaTac parking for 1 to 6 days and will be parking at MasterPark Garage. Get this coupon if you need Seattle Airport parking for seven days or more. Additional days at $12.85/day. Get this coupon if you need Seattle Airport parking for thirty days or more. Additional days at $8.50/day. Not Sure Which Coupon To Choose? Web coupon price is for each 1-day period (24 hours) of paid parking at MasterPark Lots A, B, or C.*Not valid with any other discounts. Rates do not include City tax, Airport access fees, Living wage surcharge, or WA State sales tax. Expiration date is printed on each coupon. Printed coupon must be presented to cashier upon return. Web coupon price is for each 1-day period (24 hours) of paid parking at MasterPark Valet Garage. *Not valid with any other discounts. Rates do not include City tax, Airport access fees, Living wage surcharge, or WA State sales tax. Expiration date is printed on each coupon. Printed coupon must be presented to cashier upon return. Web coupon price is for a 7-day period (consecutive days) of paid parking at the selected lot. Parking for additional days is at the rate of $12.00 per day. *Not valid with any other discounts. Rates do not include City tax, Airport access fees, Living wage surcharge, or WA State sales tax. Expiration date is printed on each coupon. Printed coupon must be presented to cashier upon return. Web coupon price is for a 30-day period (consecutive days) of paid parking at the selected lot. Parking for additional days is at the rate of $6.33 per day. *Not valid with any other discounts. Rates do not include City tax, Airport access fees, Living wage surcharge, or WA State sales tax. Expiration date is printed on each coupon. Printed coupon must be presented to cashier upon return.